Over the weekend I went on a “field trip”. Really, it was a delivery and it was out to the Hamptons. 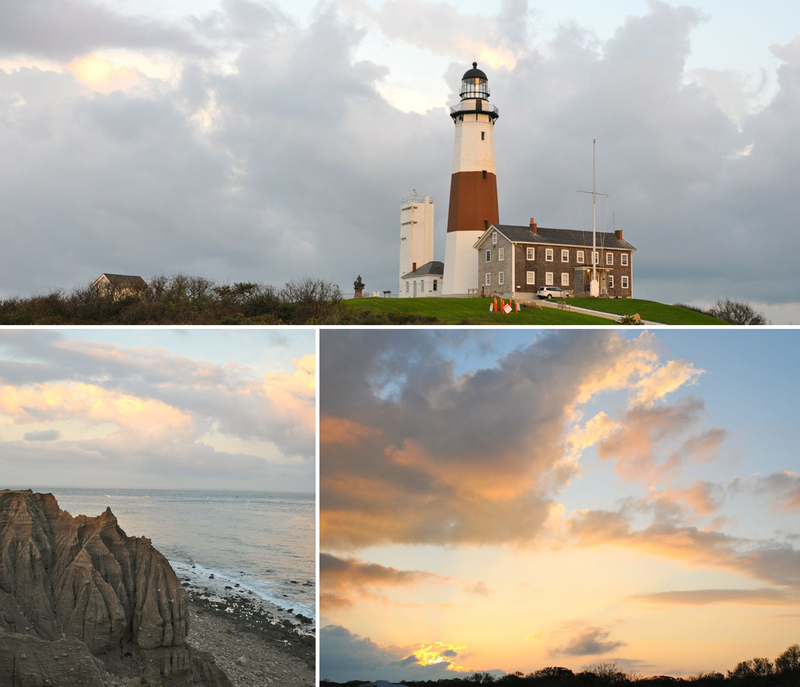 It was for a tented wedding at the very end of Long Island in Montauk. Loading up the van before we head out on the road. A refrigerated van must always be rented on behalf of the client when we go out to the Hamptons. On Google maps, it says the Hamptons are only 2 hours from the bakery. LIES! My driver and I were sitting in 4.5 hours of traffic. This is why we rent the refrigerated van. We can keep the cake cold until the last possible minute before setting it up in the tent. On the drive out the scenery is always beautiful. Our driver Ed is trained in setting up cakes as well. It takes two of us to set up on sight. The location was beautiful and our friend Jill Gordon of Jill Gordon Celebrate designed the décor of the tent. She specializes in weddings in the Hamptons. Her work is exquisite and it’s always a pleasure to design with her. The color palette was a fun one. Bright oranges with a deep blue are perfect for an early fall wedding. When Ron designed the cake with the client, it was important to incorporate a few understated nautical motifs on the cake. After we were done setting up the cake, we decided to go the very end of Long Island, we were 4 miles away and our driver Ed had never seen the lighthouse. It was a great night for a wedding! Excellent post! The cake is just stunning; the colours so vibrant and the sugar flowers indistinguishable from the real ones! Thanks for sharing! How do I unsubscribe from NYCakeGirl e-mails? The instructions in the e-mail DO NOT WORK!!! I cannot find anyway to get in touch with the blog owner and I DO NOT and NEVER HAVE wanted to get e-mails from this blog. Help me, please!!! Sorry you have been getting posts, weird. Try going to the home page of my blog and on the right hand side there is an email subscription “button” to press if you want to subscribe, try clicking it to unsubscribe. Lovely. What did Ed think about LI? We love it there! ← How “Sweet” it is…the Sweet Event that is….